Want to stay flexible and keep all your options open? Then the rental programme from Fronius is just what you’re looking for! 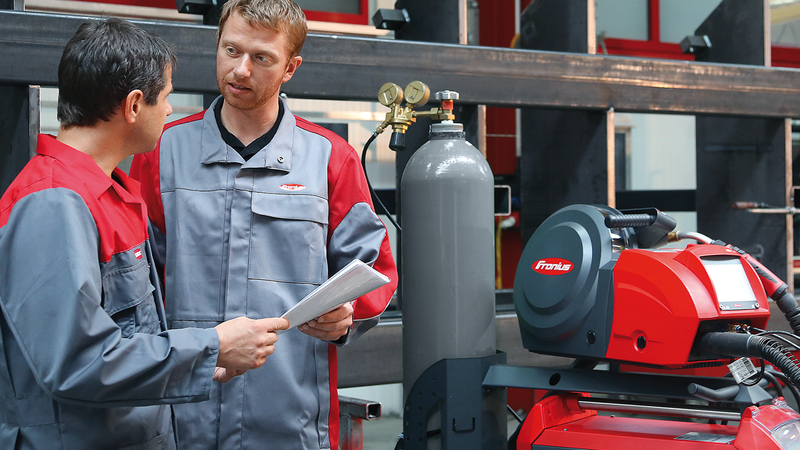 MMA, TIG, MIG/MAG – with “Rent a System” it’s easy to rent any Fronius welding system. This gives you the flexibility to handle special orders, and freedom of manoeuvre when you reach your own capacity limits. The systems are all well maintained, ensuring safe and reliable operation. The rental programme covers manual welding systems, robot welding systems and automated installations. Just ask your Fronius adviser! The “blind date” to get to know a welding system and test it for a short period of time. With the “free rental” option, Fronius provides a demo rental system for a previously agreed period – for free and with absolutely no obligation. The fair, individually tailored way to rent a welding system for a certain period of time. The longer the rental period, the lower the daily rental charge. You can choose whatever rental duration is best for your individual needs, and either lengthen or shorten it by arrangement with your Fronius adviser. This makes it an independent and flexible arrangement. A good partnership: for long-term projects and special orders, Fronius offers the option of renting welding systems for several years at a time. In this case, the rental price is calculated individually for each customer. And of course, you still enjoy all the benefits of “Rent a System”, with any repair costs being covered by the rental charge. RENT THE RIGHT SYSTEM WHATEVER THE CHALLENGE!